"The UCLA Health System has worked tirelessly to protect its patients, staff and environment through smart goal-setting and careful monitoring," said Gary Cohen, president of Practice Greenhealth. "As a system, they are truly demonstrating leadership for the future of health care." The award is one of the organization’s Environmental Excellence Awards, given each year to honor outstanding environmental achievements in the health care sector. This is the fourth consecutive year that both UCLA hospitals have received the award. The Partner for Change award recognizes those facilities that have continuously improved and expanded their programs aimed at eliminating mercury, reducing waste, lowering the toxicity of waste, and recycling. At a minimum, facilities applying for the honor must have reduced regulated medical waste, must be recycling 15 percent of their total waste, must be well along the path toward mercury elimination, and must have developed other successful pollution-prevention programs in a number of areas. "We take pride in our sustainability efforts to lessen our impact on the environment," said Dr. David Feinberg, president of the UCLA Health System and CEO of the UCLA Hospital System. "Our UCLA Health System hospitals are committed to improving the health of our patients, staff and community as a whole through good stewardship of our precious resources." This year, both hospitals were also presented with the Making Medicine Mercury-Free Award, which recognizes facilities where proven policies have been put in place to eliminate one of the most hazardous chemicals and prevent it from reentering the sites. Award criteria include mercury-free management and purchasing policies and staff education. "We can’t properly heal patients when there are pollutants and chemicals present in the health care setting," said Paul Watkins, chief administrative officer of UCLA Medical Center, Santa Monica, and chair of the UCLA Health System’s sustainability committee. "Eliminating mercury in our daily work environment protects both our patients and staff." The Practice Greenhealth Environmental Excellence Awards were presented June 5 in Cleveland, Ohio, at the CleanMed Conference and Exhibition, the premier national environmental conference for leaders in health care sustainability. 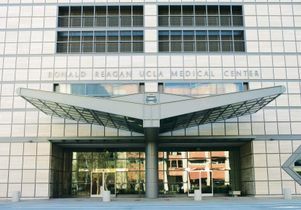 For more on the UCLA Health System, visit https://www.uclahealth.org. For more on Practice Greenhealth, visit http://www.practicegreenhealth.org.